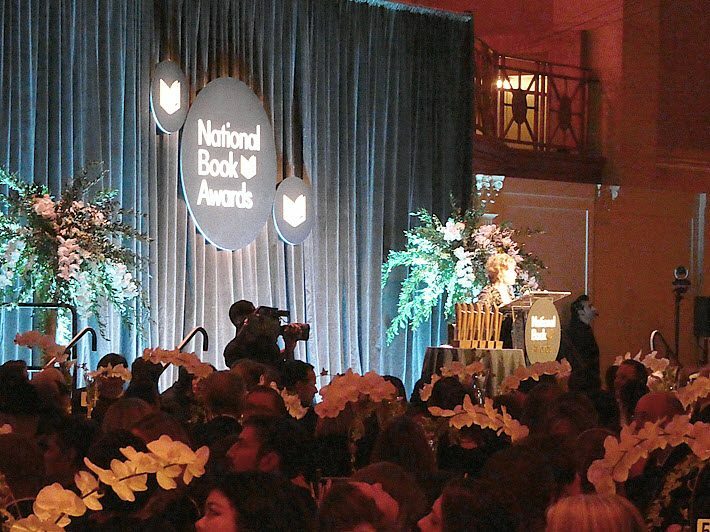 Even as five new National Book Award winners were named, Chilean-American author Isabel Allende captured the most moving moment with her lifetime achievement honor. In a deeply felt acceptance speech that focused on her status as an acclaimed Chilean-American author—in a time of rising hostility to immigrants in the Trumpian United States—Isabel Allende told a New York City audience Wednesday evening (November 14) that the National Book Award’s 2018 Medal for Distinguished Contribution to American Letters has special meaning for her. “Although I am critical about many things in this country,” she said onstage at Cipriani Wall Street in Manhattan, “I am very proud to be an American citizen. The winner of each of the five categories awarded Wednesday receives US$10,000, and each finalist is given $1,000. The translation award is new this year, and its winning translator and author divide their category’s money evenly. Publishing Perspectives’ announcement of the finalists in the program’s five categories is here. As host Nick Offerman noted in his otherwise ribald, self-deprecating introductory remarks, 10 of 20 finalists are published by independent presses. Five titles in play are their authors’ debuts. The first honor of the night went to Doron Weber, named winner of the 2018 Literarian Award for Outstanding Service to the American Literary Community. Refencing his specialization in science-related projects in his work (as in the NASA data aces of Shetterly’s book), Weber told the audience that “science cannot yet explain consciousness or even how memory works,” as part of a long list of things that the scientific community as yet hasn’t provided us. “History, philosophy, art, music, language, and religion,” he said, “all play a part” in our efforts to fathom who and what we are. “Science and art are two parts of the same” need, drive, and potential. 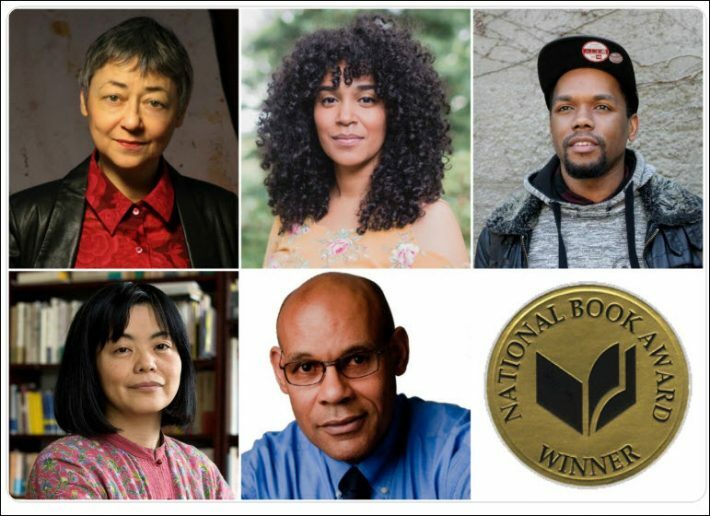 This is the awards event that, as Publishing Perspectives reported in January, has added a new honor this year, the National Book Award for Translated Literature, which recognizes both the winning author and translator. In accepting the first-time prize, translator Margaret Mitsutani—”Translators are nothing without authors”—was joined by the writer Monique Truong (The Book of Salt), who read a statement of gratitude from Yoko Tawada, author of the winning The Emissary. 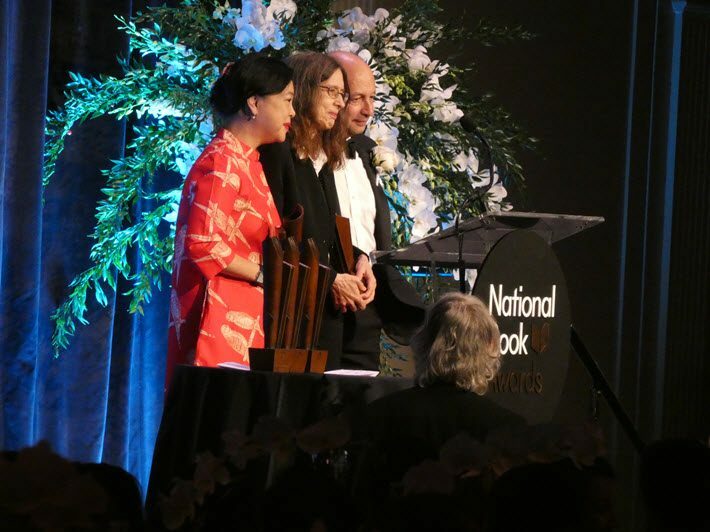 This new award, honoring a work of fiction or nonfiction, must have been translated into English and published in the States, but neither the translator nor author must be a US citizen. In categories of fiction, nonfiction, poetry, and young people’s literature, authors must be US citizens. She discovered, she said, that in fact the work of an author makes her both in the world and removed from it at once as an observer of the context in which she lives. The publication timeframe for eligibility this year was between December 1, 2017, and November 30. In the case of the translation award, the original text of the book need not have been published during that timeframe, although the translation must be. Books must reach the judges by June 29, earlier if possible. Full details of the submissions process are here at the foundation’s site, with a useful FAQ here. 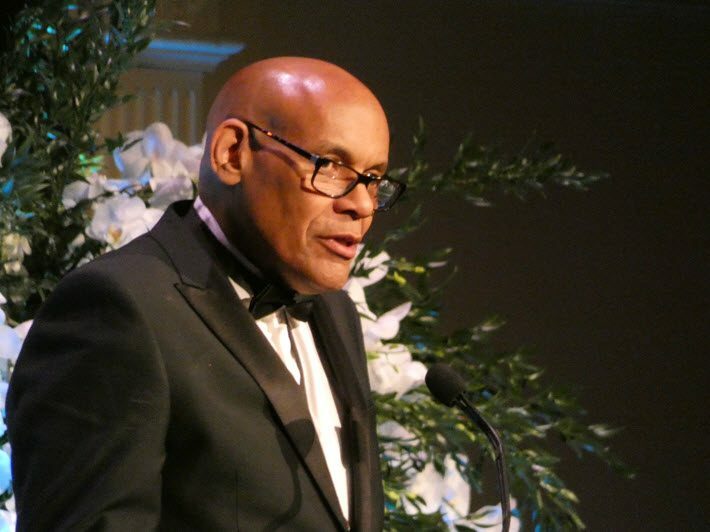 Judges are chosen from many walks of life in publishing, the organization noting in its press materials that they include “writers, booksellers, academics, editors, critics, and translators from across the country. 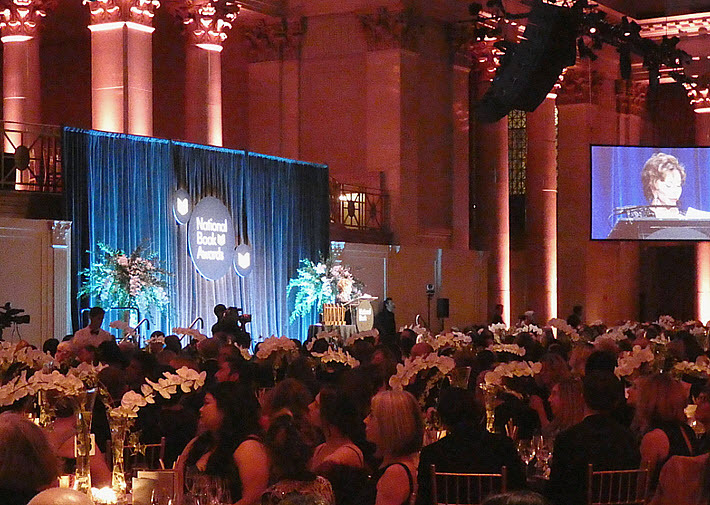 In their comments to the audience after dinner, the National Book Foundation’s executive director, Lisa Lucas, and chairman, David Steinberger, announced that the evening had raised more than US$900,000 for the nonprofit foundation. 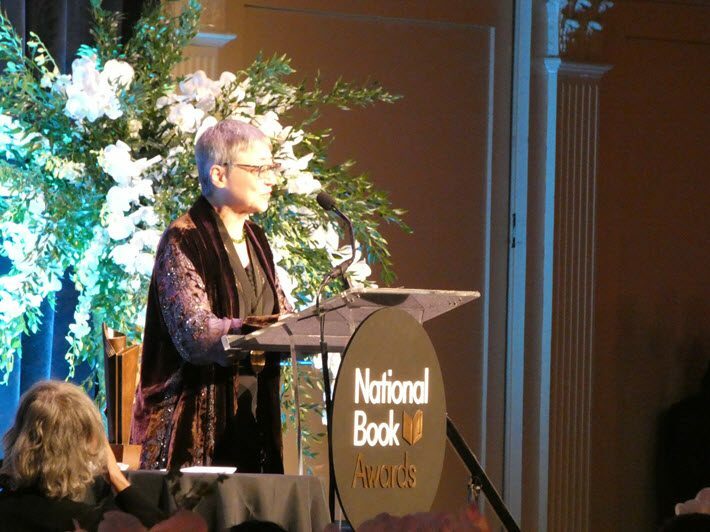 A part of the organization’s recently revised mission, Steinberger said, is “to ensure that books have a prominent place in American culture.